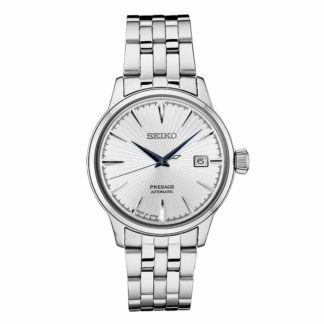 Special GRAMMY® Edition from the Precisionist Collection. 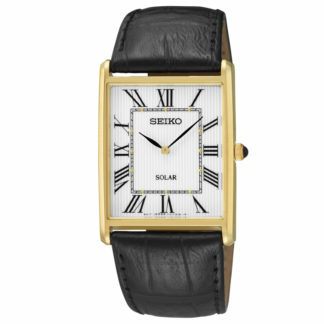 Matte black IP stainless steel case, matte black dial with gold-tone accents and calendar feature, anti-reflective curved sapphire glass, screw-back case with GRAMMY® logo stamp on back, matte black IP stainless bracelet with double-press fold-over closure, and water resistance to 300 meters. 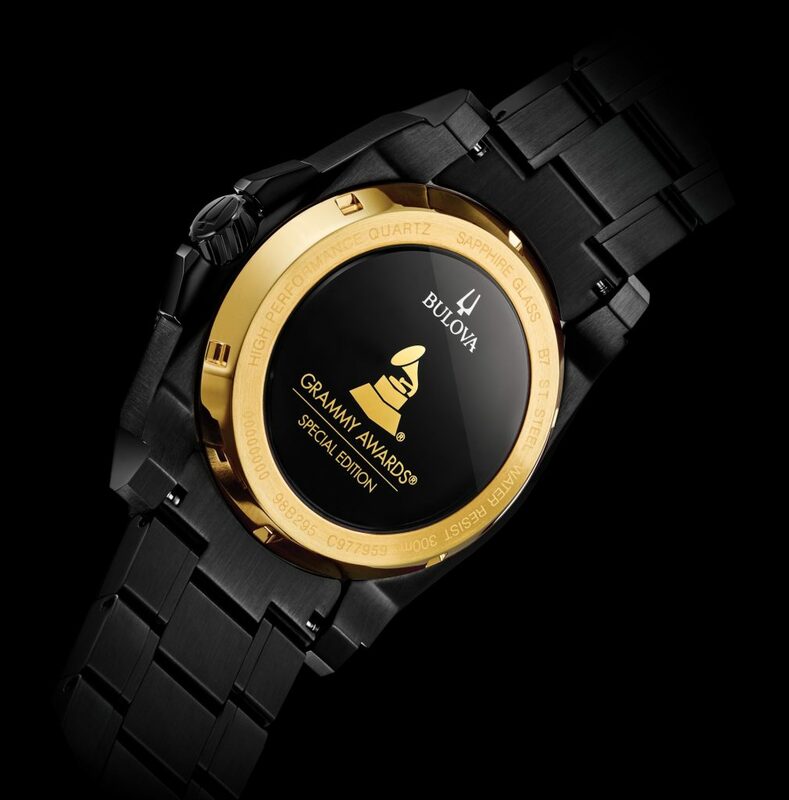 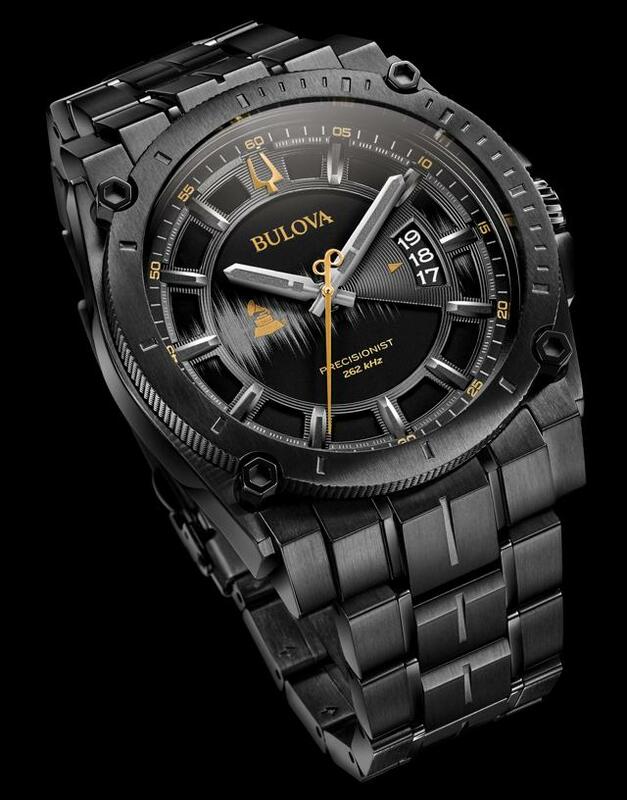 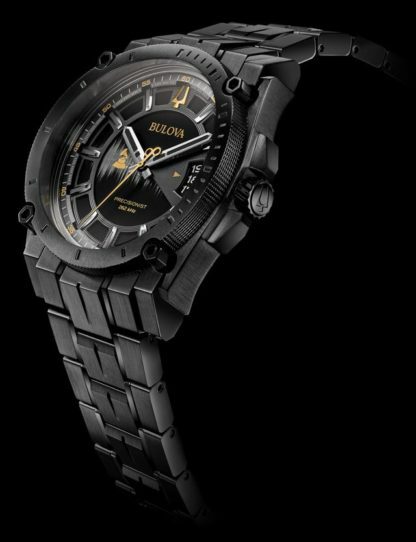 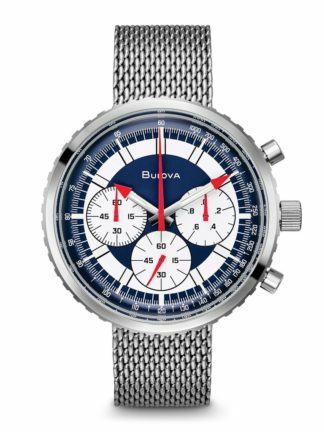 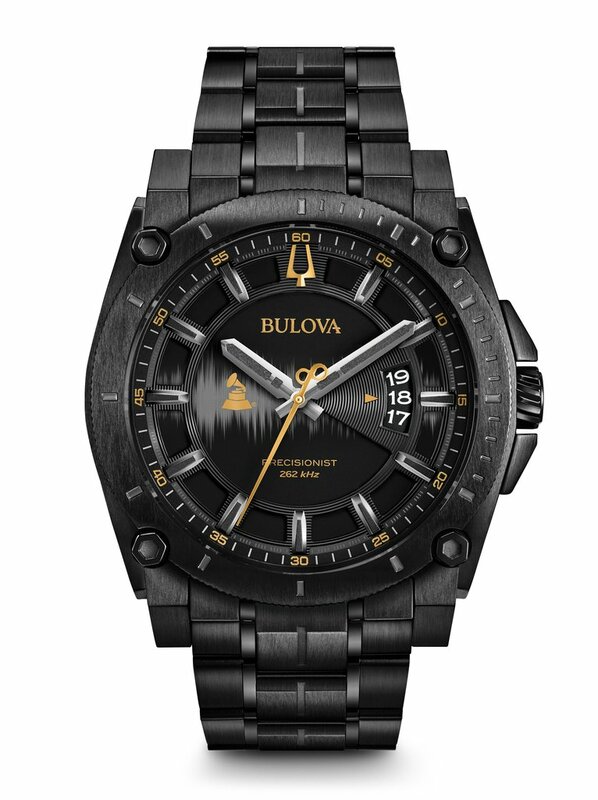 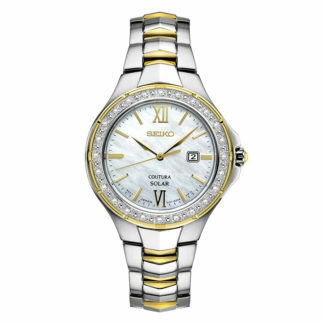 Bulova Grammy Edition Mens Watch 98B295 – Special GRAMMY® Edition from the Precisionist Collection. 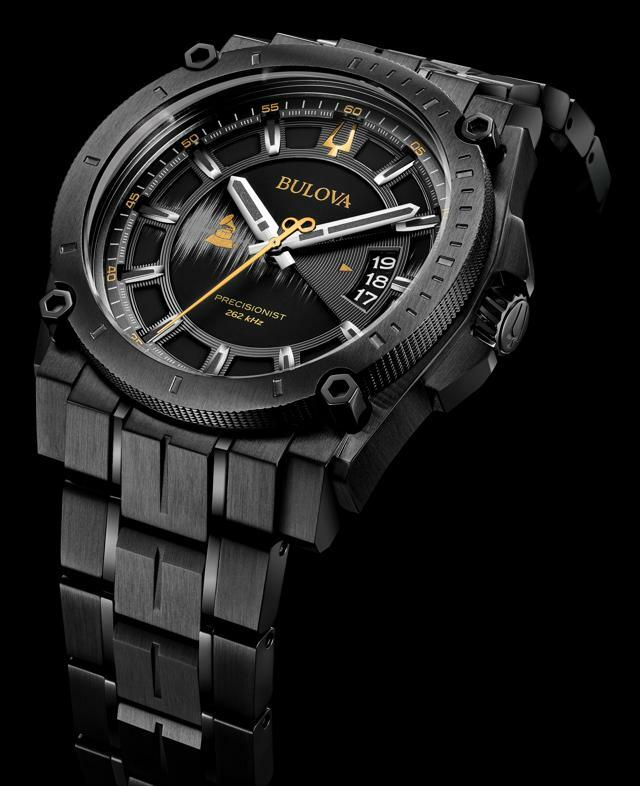 Matte black IP stainless steel case, matte black dial with gold-tone accents and calendar feature, anti-reflective curved sapphire glass, screw-back case with GRAMMY® logo stamp on back, matte black IP stainless bracelet with double-press fold-over closure, and water resistance to 300 meters.